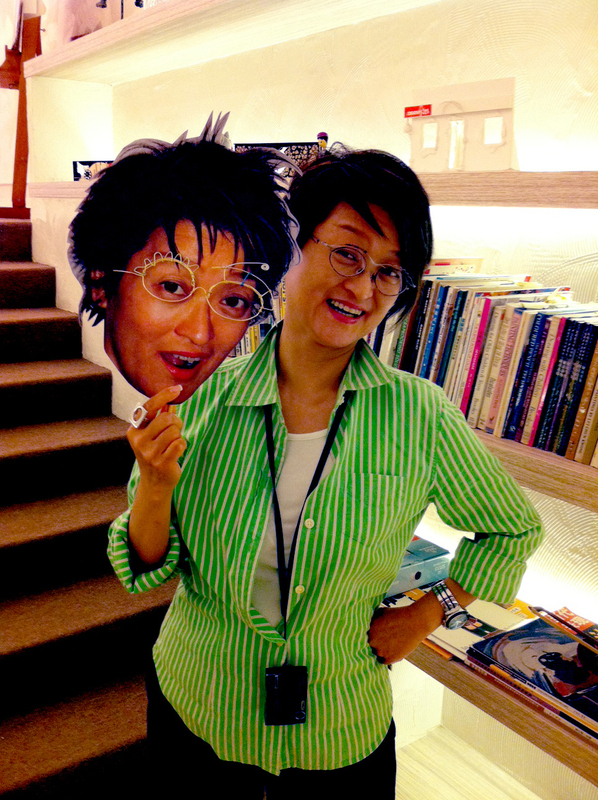 Angelina Lo-Chui greets me at the entrance of her 12th-floor art studio in Central. A group of children parade past us, waving goodbye. It’s raining outside, but in here it feels like sunshine. This is CreativeKids, a wonderland for children bursting with stories to tell and art to make. Angelina, known affectionately as Auntie Angie to her students, founded CreativeKids in 1991. 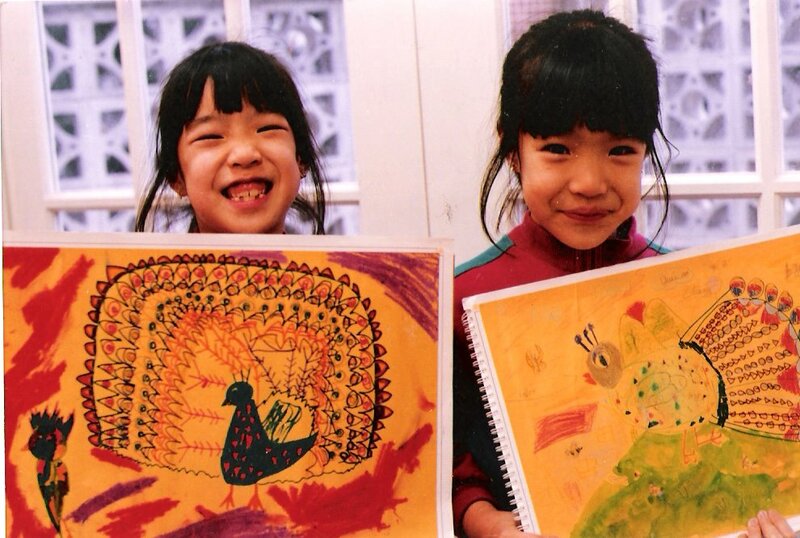 A pioneer in changing the perception of art education in Hong Kong, CreativeKids was one of the earliest—if not the first—children’s art studios in the territory. 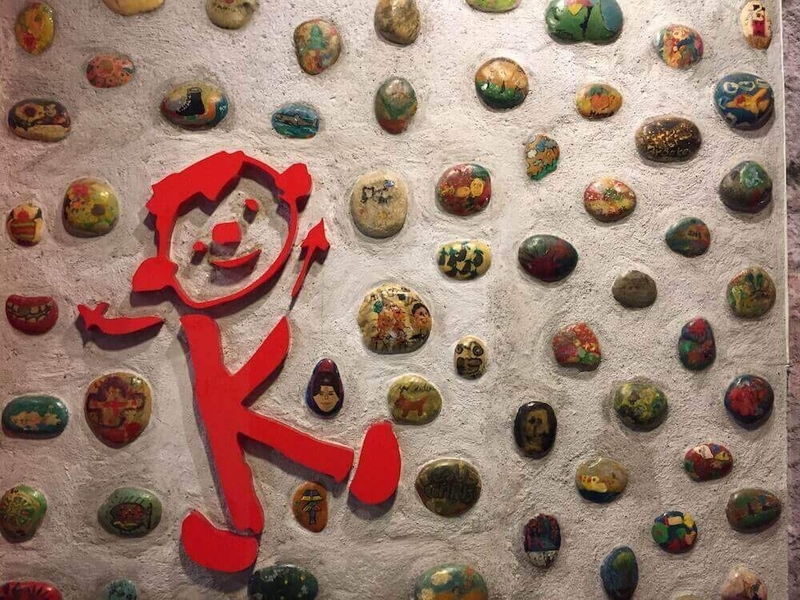 The entrance of CreativeKids is decorated with stones painted by some of Angie’s first students—back in 1991! As Angie gives me a tour of the studio, she’s exactly as we remember her 25 years ago: effervescent and full of energy. 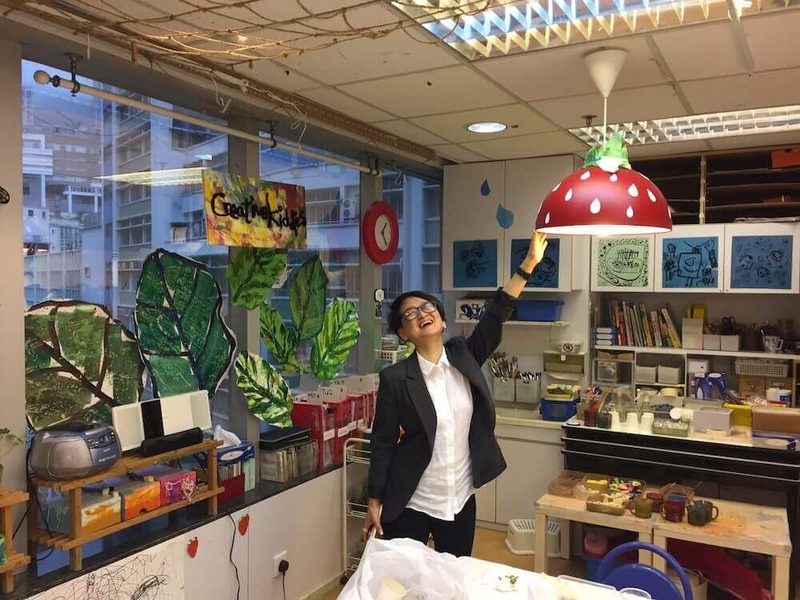 She flits from an enormous papier-mâché toadstool to a tactile ‘sensory wall’ made from wet-wipe lids before darting over to a shadow puppet theatre to show off some of her students’ latest work. 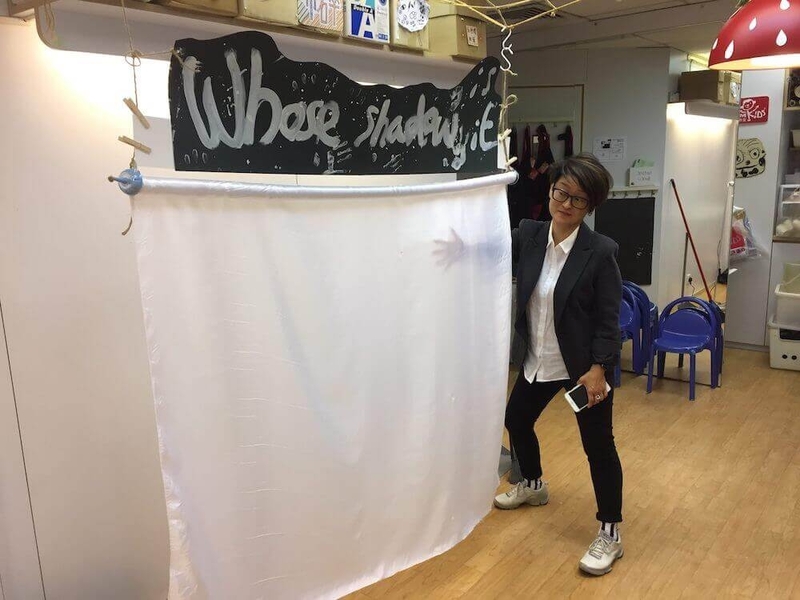 Auntie Angie briefly demos the shadow puppet theatre at CreativeKids. It’s clear Angie is having as much fun as the children here today working on their paintings, architectural models, and collages. The studio resembles the set of a Michel Gondry film: it’s the sort of place that urges children to let their imaginations run wild. But what was there in the way of nurturing children’s creativity 30 years ago, before Angie started CreativeKids? Auntie Angie beneath the giant toadstool. Door handle by Hong Kong artist Wong Tin Yan, former creative director at CreativeKids. At the time, formal art training in Hong Kong consisted of copying famous works of art—although one teacher arranged objects in a still life to teach the concept of light and dark. Other than copying photos of celebrities and—like many other Hong Kong children—taking piano lessons, Angie received no art education until she attended college in the United States, where she graduated with a Bachelor of Fine Arts degree from the University of Hawaii, Manoa. There was little in the way of nurturing her creativity in Hong Kong. 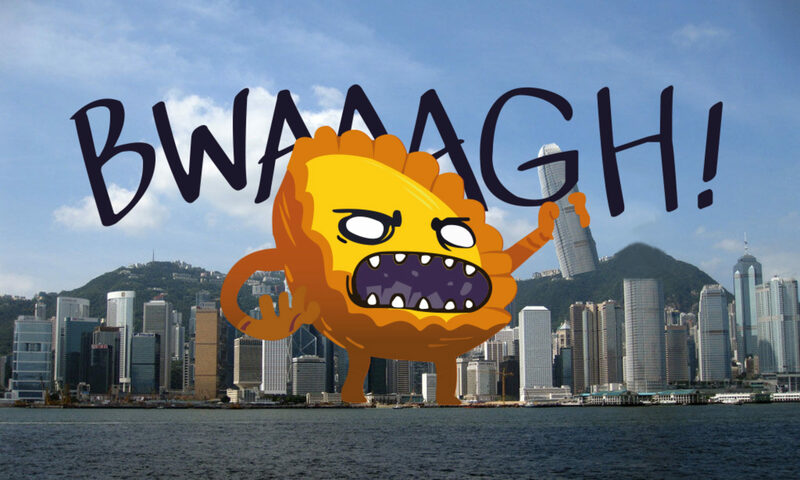 When it comes to extracurricular activities for Hong Kong children, creativity and the arts have traditionally been regarded as less important than the ‘holy trinity’ of subjects: 中, 英, 數 (Chinese, English, and Maths). But times have changed, and parents today understand that creativity is critical to their children’s development. 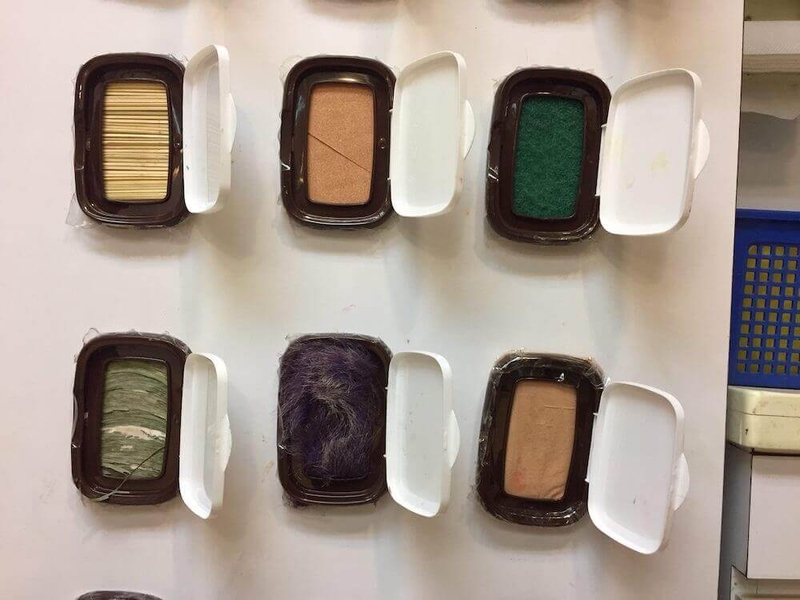 Exploring different textures with the sensory wall, made from wet-wipe lids. The first incarnation of CreativeKids began in the late 80s at Angie’s kitchen table. At the time, many of her friends would send their children to make art with Auntie Angie. It didn’t take long for Angie’s home to brim with children—very happy children, at that—and for Angie to recognise that she loved teaching children art. The excitement of teaching art was so intense that I lost sleep over it. … a creative environment … allows youngsters to discover, experiment, express, communicate, and construct knowledge. Gradually, Angie found like-minded teachers covering every discipline—from painting to sculpture, advertising to architecture—to join her team. 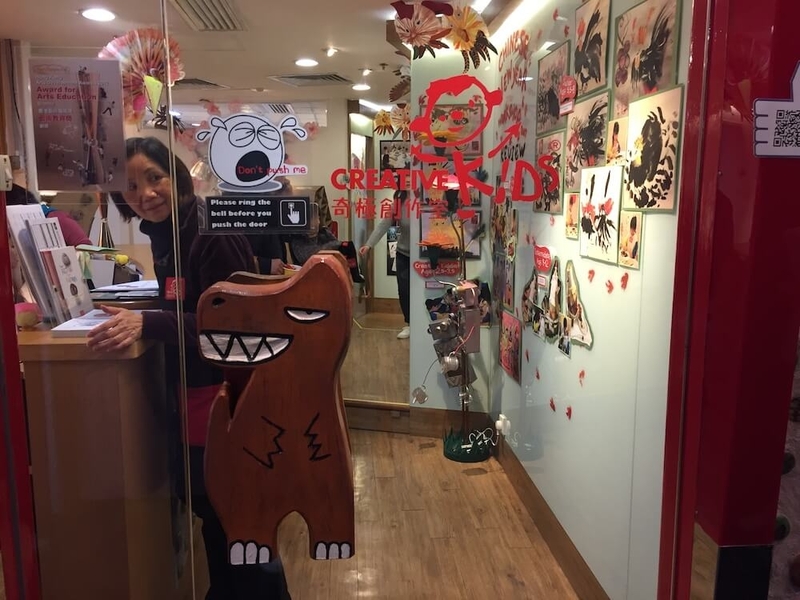 CreativeKids now operates a studio in Central, another in Tai Koo, and a social enterprise art education centre in Mei Foo called IM Creative. 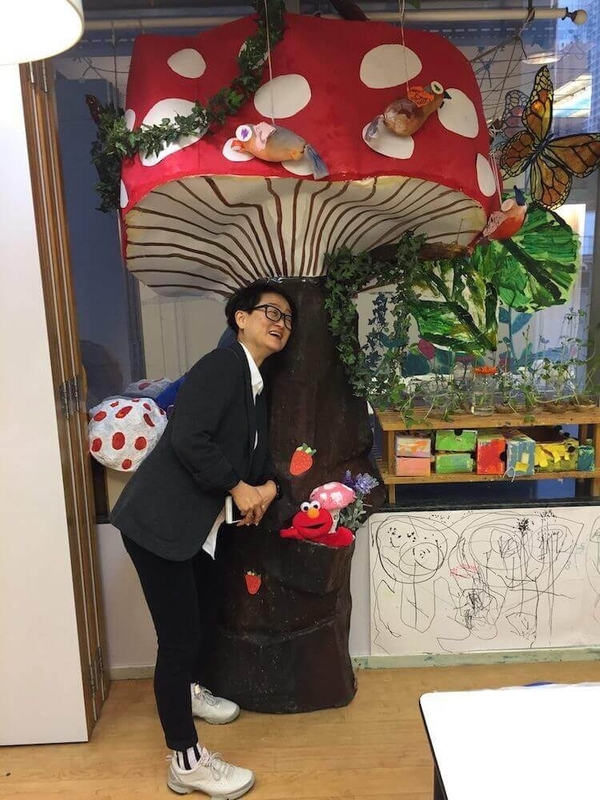 Angie is currently undertaking a PhD research study on children’s creative development through design education to underpin what she has been doing intuitively for years. Do Angie’s students become starving artists? A painting by Adam Kor (age 17), August 2014. Today Adam is an architecture student. 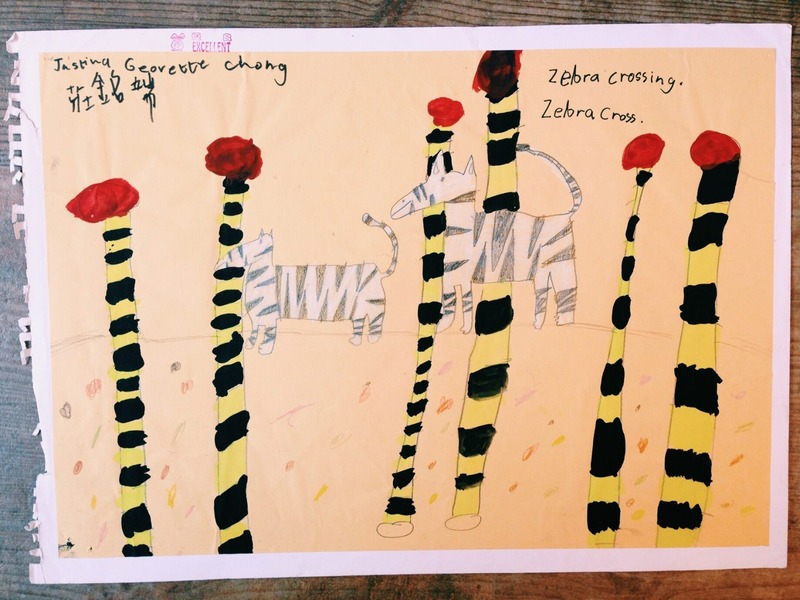 Are parents right to be fearful of an art-based education? Are Auntie Angie’s former students now tragically unemployed artists? And who better to prove that an early education in art is not a direct path to unemployment than some of Auntie Angie’s first students? Here are some anecdotes. Justin Chang took classes at CreativeKids from the age of five through to his early teens. Today Justin works for his family’s bespoke shirtmaking and tailoring business, Ascot Chang. Aesthetic development aside, Justin feels the most important lesson imparted by Angie goes a bit deeper: that we must engage with the world with an inquisitive spirit. ‘CreativeKids taught me how to approach a problem, a question, or a project brief with a mindset of exploration and fun. In the real world, not all solutions can be derived from formulas, and often you need to look at problems from different perspectives to find unexpected solutions.’ On top of this, Justin adds that CreativeKids was great fun. Justina and Jessica (age 7) with their peacocks at CreativeKids, circa 1993. 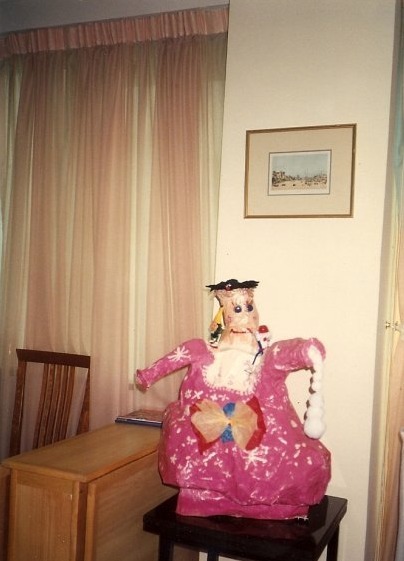 The sculpture that Jessica and Justina made, circa 1994. Today Jessica works as a software engineer in San Francisco. She continues to draw, write, and knit. 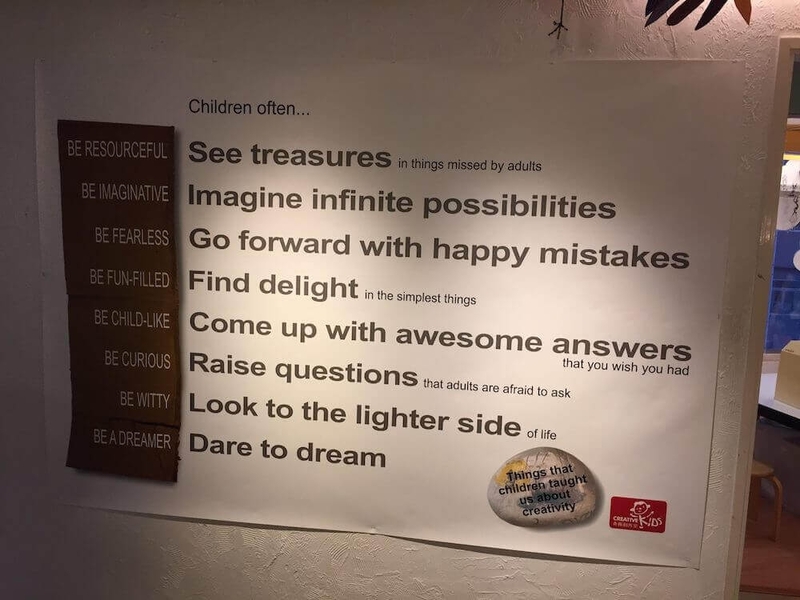 To assume that the CreativeKids mission is to groom the next Monet, Picasso, or Ai Weiwei would be to miss the point. 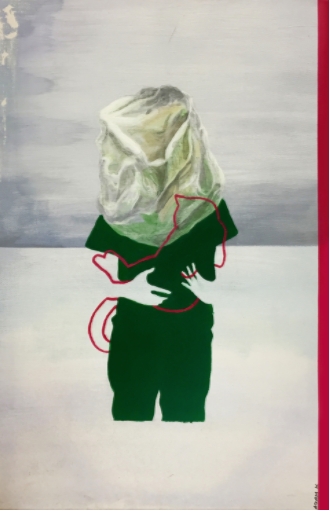 The primary motivation for Angie and her band of painting pedagogues seems to be to instil the values and qualities gained in the process of creating art rather than teaching art itself. Not the next Monet. 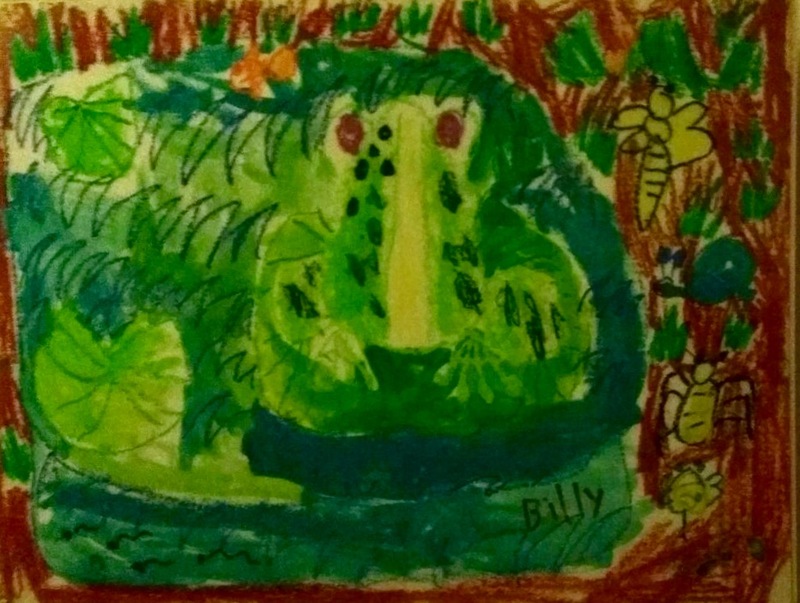 A drawing by Billy Potts (age 6), circa 1992. Today Billy is a product designer. Sadly, many individuals reach adulthood having never engaged in the arts, which might make you wonder: Is there such thing as an ‘uncreative’ person? Angie believes creativity can be switched on at any time in a person’s life. ‘It is a fire that may have diminished inside but can definitely be rekindled. It takes courage to face up to changes.’ In this vein, CreativeKids has organised an adult art volunteering initiative called Art Squad, as well as a learning program called Creative Adults. [Creativity] is a fire that may have diminished inside but can definitely be rekindled. lovely writing and so true.